The Swedish writer Lennart Hellsing began writing rhymes and verses for children and adults in 1945 and had a unique ability to combine wisdom and absurdism with playfulness. He was a cross-border writer not respecting genre or age and his production includes some hundred titles for children and adults. Lennart Hellsing was one of the writers reforming Swedish children’s literature after World War II. He protested against what he found “conservative, sacral, formal and frankincense-smelling” in older literature. With his books he wanted to give children joy and happiness, often mixed with a breath of rebellion and anarchy. In his poetic world the doors are always open for adventures, movements and constant changes. With Hellsing children’s literature began to be taken seriously. 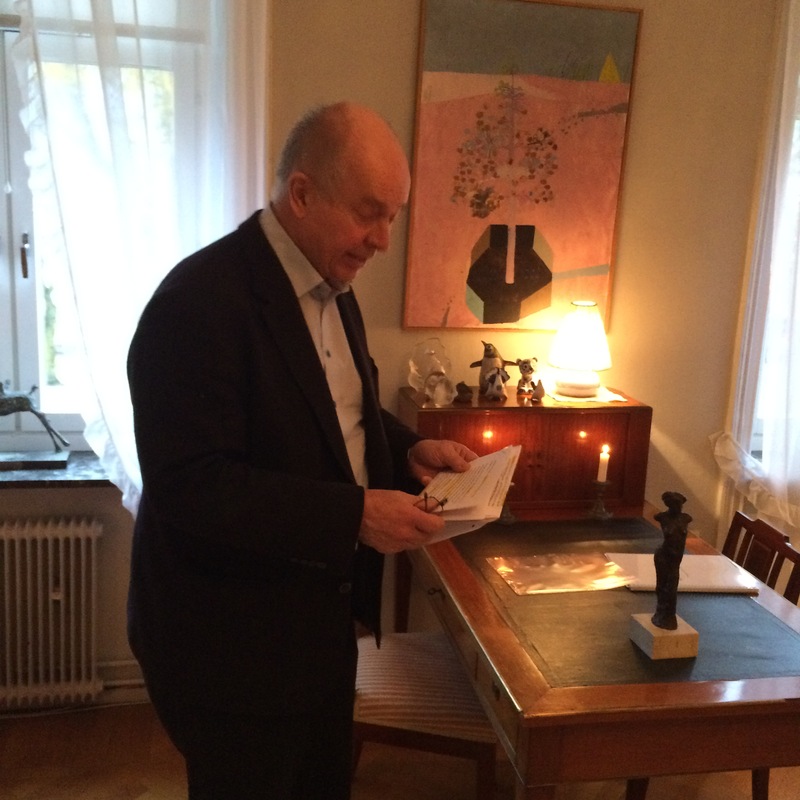 He urged for academic research and took action for the Swedish Institute for Children’s Books to be established in 1965. He also translated rhymes and verses into Swedish, especially English nursery rhymes. When I studied Children’s Culture at Stockholm University, I was once asked to name a book that had been significant for me as a child. My answer came spontaneously, instinctively, with a speed that surprised even me. It was an emotional answer. I felt immediately which book I wanted to tell about. It occurred to me that, with more time to think, I probably would have changed my answer, intellectualized it. But this answer was in my body. The book was The Children of Noisy Village, by Astrid Lindgren. We were asked to describe the experience of reading the book. I remember how I felt when I read about the growling dog and the angry shoemaker, and how frightening angry dogs and shoemakers could be. And also that no matter the dangers of dogs and shoemakers, we have to be brave and go about our business. Shoes need repairing sometimes; shoes have to be dropped off, and then picked up again. The road to the shoemaker’s went past the dog. Everything was angry and dangerous. I was just as scared as the children in the book, and I felt they saved me by being just as scared as I was. I remember how Olle befriended Svipp, the angry dog. And I remember knowing that I too, would have been kind to the dog. Because I wanted a dog. I ached with wanting a dog. I saved up money for a dog. In real life, I stopped for every dog I saw. I was scared – not of anger, but of loneliness. A dog would save me from the thing I couldn’t face and couldn’t feel. My father was dead, and I had no language for it. I thought and thought about the story of Olle and how he got his dog. I remember reading the chapter over and over again. I wanted to tame a dog too, turn it from angry to gentle. I saw my chance in every dog I met. The dog who barked at the gate on the way to my grandmother’s became the dog above all others. He came with a gentle little old lady and an equally gentle little old man. I used to sit in their kitchen, swinging my legs on a chair, eating buns and drinking juice. The dog lay at my feet. It was a scene straight from the pages of my book about Noisy Village. That I one day would have a dog of my own, because I was a friend to animals, and dogs in particular, was a dream I held on to through my whole childhood. When I talked about this chapter at university, I thought it was the chief point of the entire book; that the book was mostly about getting the dog. Later, we were supposed to find our significant books and re-read them. I read the short chapter. To my surprise, all of the things I had thought and believed were not in it. It was a different story. It came home to me, in a very concrete way, that I had written myself into the story, between the lines. I had made things up. I was both reader and co-conspirator. There is plenty of room between Astrid Lindgren’s lines: large, generous empty spaces for thinking and feeling. My story was only mine. My reading experience included me. This taught me about the spaces in texts. It taught me something about myself: my yearning, my imagination. The book had helped me to feel. My still-wordless grief could borrow vocabulary and dreams from stories. The story gave me inner pictures that blended with my world and made my life a little easier to comprehend. Today I still talk to books. I need that space between the lines to see inside a book. I need that empty room to feel, think, and reflect. Later in life I understood why I read. I was reading my way to a father. If you have no father, you build one for yourself through books. I can read my way to a subsitute father. Reading can answer my questions about who a father can be and what a father can do. As an adult, when I read Ulf Stark’s chapter book, En liten bok om kärlek (A little story about love; 2015), the sense of invitation remains the same: to stand in the hall with Father’s empty shoes, and breathe in Father’s smell from his empty overcoat. I step in and stand on the lines of sentences and draw a deep breath. I read, I think, I feel – everything the empty space can hold. To read is to be given space, space for the things you cannot face and for the vocabulary that got a little crumpled. Space for words about the sadness that took hold of you and the sense of security the story brought: the story, that other mirror, reflecting a tiny bit of hope. This year Pippi Longstocking, the strongest and kindest girl in the world turns 70 years old! Astrid Lindgren’s Pippi is not only strong and kind, but she is also independent, generous, playful, funny and adventurous. On November 15, the Embassy of Sweden in USA, in partnership with Saltkråkan AB and Swedish Institute, celebrated her birthday in true Pippi style. Congratulations to your honorary doctor’s degree, Katarina Kieri! The ceremony was held in Luleå on November 14th. Thank you so much! I´m naturally both delighted and honored. I´m especially glad that I´ve been appointed by a university in my old home district. It feels good that they´re keeping check on me. You have published two books during this autumn. Could you tell us more about them? En annan Abbe (Another Abbe) is part two in a planned trilogy about some children who are somewhat constrained in their existence, having to help each other to expand their living space. Vårt värde (Our value) is a poetic novel for adults based on the time and geographical circumstances that marked my childhood. This was during the progressive 60s and 70s in northern Sweden, with deep roots further to the north in the Finnish-speaking Tornedalen. My life was strongly influenced by the fact that my parents, like thousands of others in their generation and because of a very hard language policy, not brought their native language on to me. I´ll write the third and final part of the trilogy of children’s books. En annan Abbe (Another Abbe. 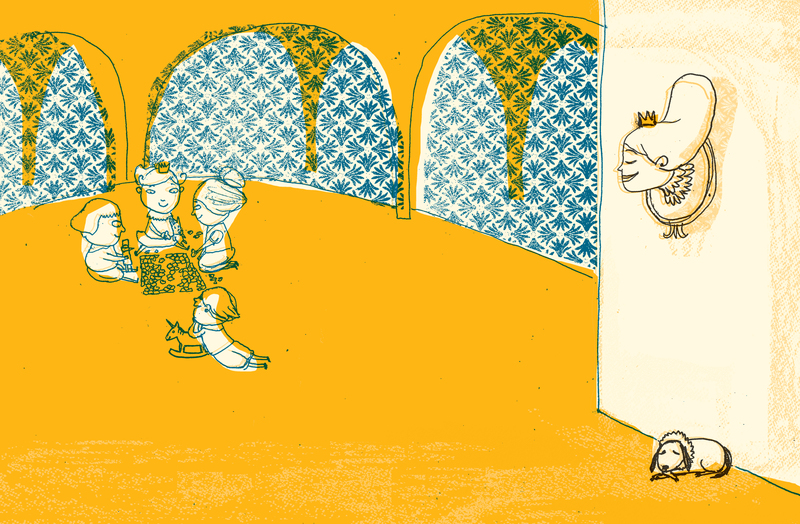 A collaboration with illustrator Helena Lunding Hultqvist) is published by Lilla Piratförlaget. Publishing director Ann Sköld at Rabén&Sjögren and Mårten Sandén. We congratulate author Mårten Sandén whom was announced as winner of Rabén&Sjögren’s Astrid Lindgren-prize yesterday. He´s awarded the prize for his comprehensive, rich and significant body of work within both magic realism and excitement as everyday exposure, well established among young readers of all ages. Mårten Sandén is a full time Swedish writer and songwriter, born in 1962. He made his debut in 1995 with Roy och Perry räddar en varg (Roy and Perry save a wolf), a crime novel picture book for children. Since then he has published a series of picture books and books for children and young adults. 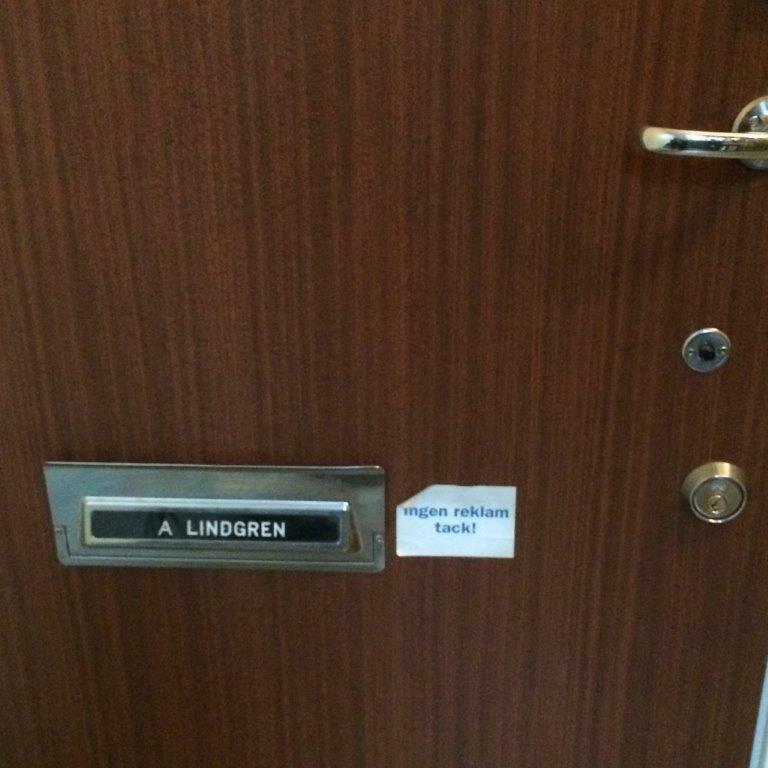 Astrid Lindgren worked as publisher at Rabén&Sjögren for 30 years. The publishing house instituted the Astrid Lindgren-prize as a birthday gift on her 60th birthday, November 14, 1967. Since then, the prize has been awarded annually to Swedish authors of great merits within children’s and young adult literature. 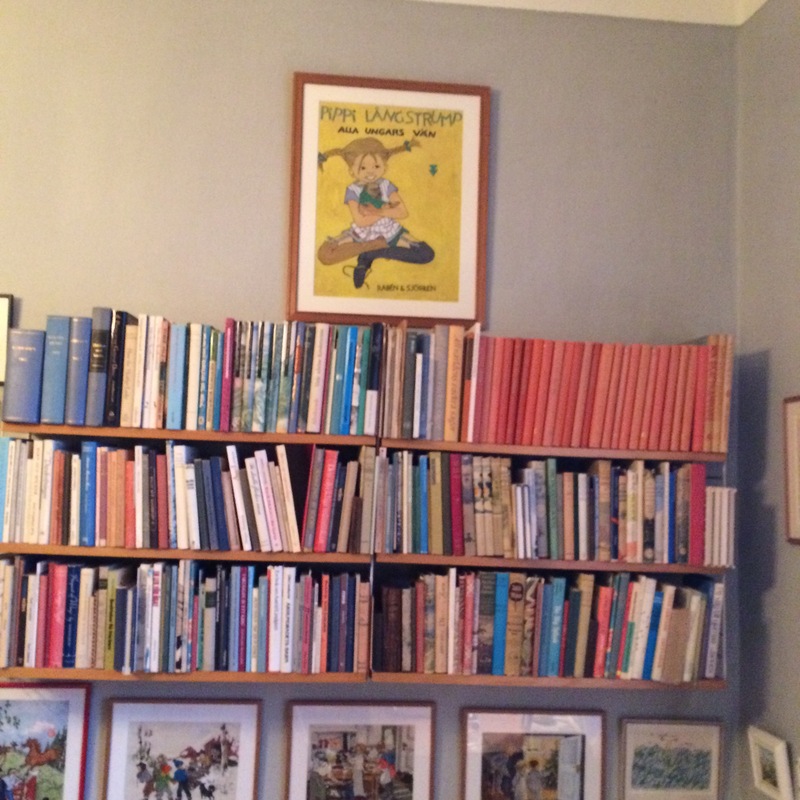 Publisher Suzanne Öhman about Astrid Lindgren´s career as a publisher. 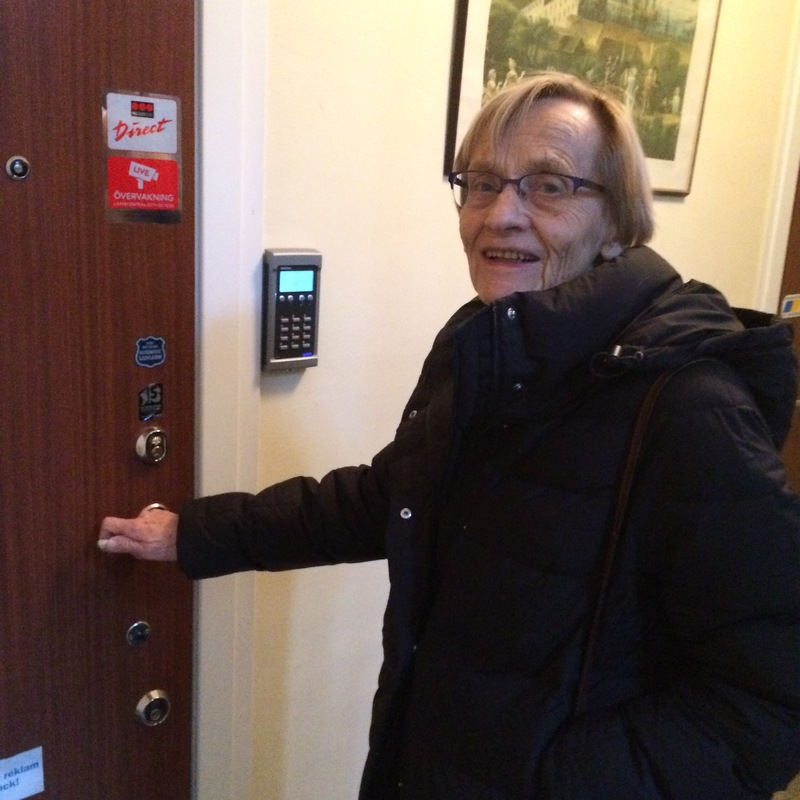 On November 14, Astrid Lindgren’s birthday, her home in Dalagatan 46, Stockholm, was officially inaugurated as a writers’s home open to the public. Here she lived and worked from 1941 to her death in 2002. Here she wrote timeless classics as Pippi Longstocking, countless letters, articles and the war diaries. Everything in the flat is authentic and is maintained by her family just the way it was when she lived here. Astrid Lindgren’s daugher Karin Nyman. Kjell Bohlund, chairman of the Astrid Lindgren Society, in his speech pointed out that this day was for him a mixture of joy and sadness and anger. 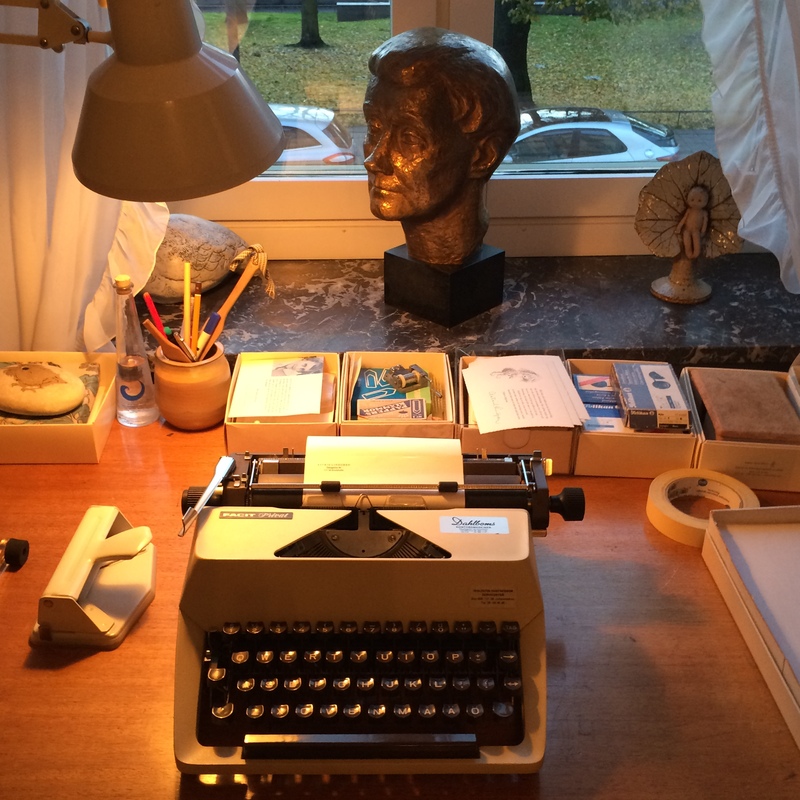 The society has worked hard for three years making it possible for the public to visit Astrid Lindgren’s home, keeping the homely atmosphere and avoiding turning it into a museum. The pleasure of having succeeded was somehow overshadowed by the brutal terrorist attacks in Paris on November 13th. The more important it is, he said, to convey to all visitors Astrid Lindgren’s lifelong defence of human rights. 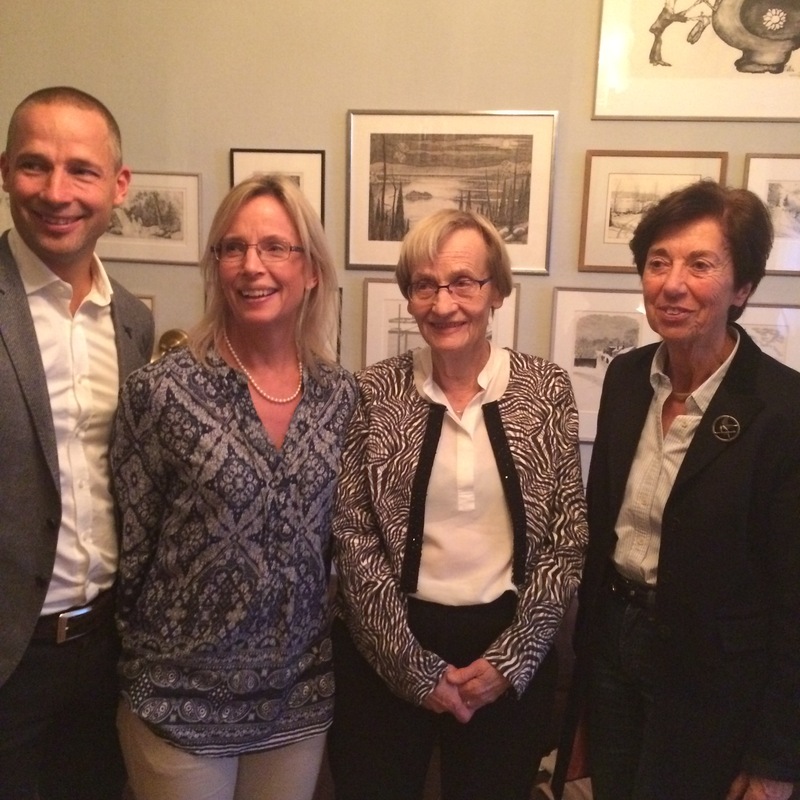 Invited guests were among others Astrid Lindgren’s family, her German publisher Silke Weitendorf, the literary agent Kerstin Kvint, representatives from the Ministry of Cultural Affairs, Swedish Arts Council and the Swedish Institute. Astrid Lindgren’s grandchildren Olle Nyman and Malin Billing, her daughter Karin Nyman and publisher Silke Weitendorf. 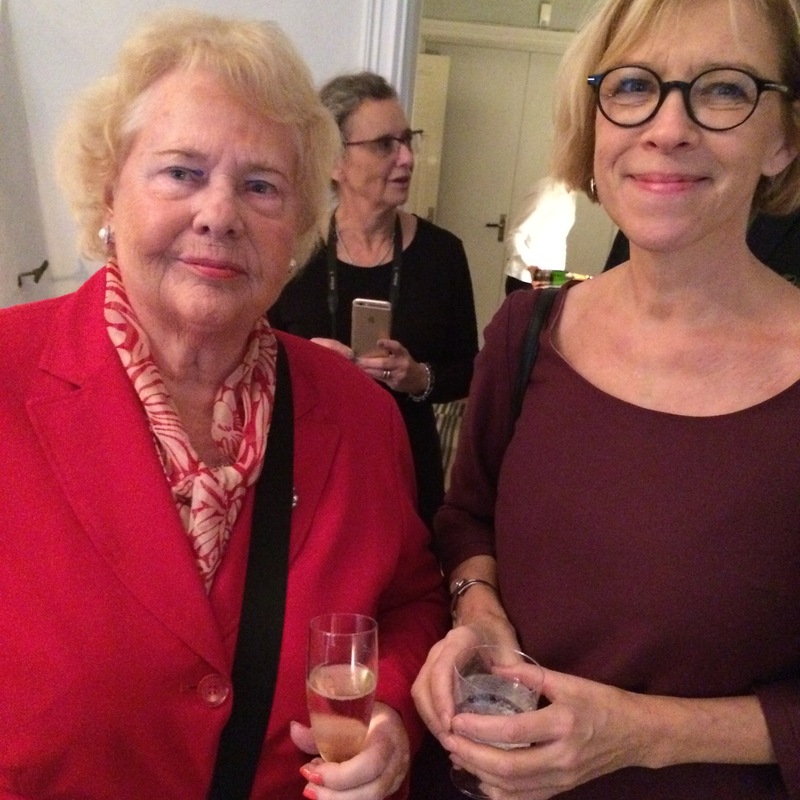 Kerstin Kvint and Ann Sköld. we want our blog to be relevant for more people. Is there anything you miss or would like us to improve, or are there any particular subjects you´d like to read about? Please take a few minutes of your time to answer some short questions here. 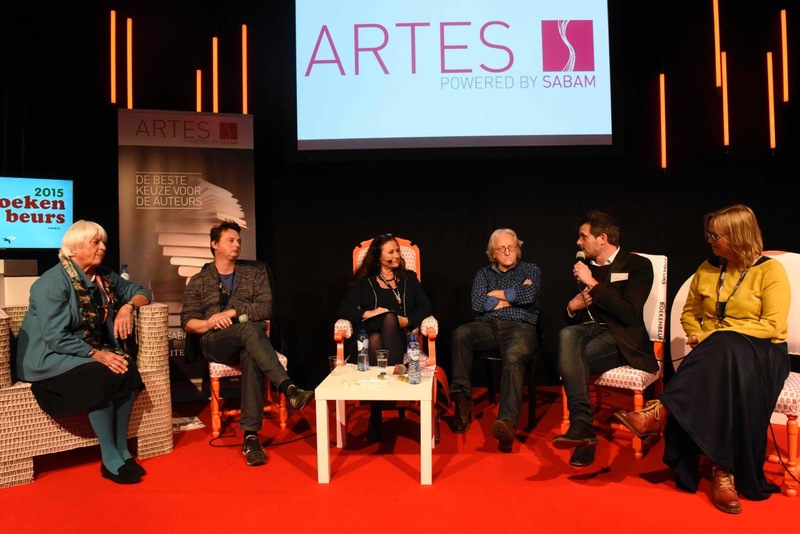 SABAM, the biggest Belgian organisation of authors (representing 39 000 authors writing in every possible genre), organised a mini-conference in Antwerp (4 Nov. 2015) about the world of international children’s and youth literature in collaboration with IBBY President Wally De Doncker. The IBBY President shed some light on the global workings of IBBY. He explained the important role of founder Jella Lepman. Astrid Lindgren and her publisher Hans Rabén (second IBBY-president) influenced the course of IBBY in the early years after its foundation. The driving role of ALMA within the current world of international youth literature was emphasized. Guest of honour during this mini-conference was ALMA-laureate Kitty Crowther. She told the audience that she considers herself both writer and illustrator. She claims that the divide is no longer clear to her. She illustrated this by referring to the inspiration she draws from photographs and classical portraits. 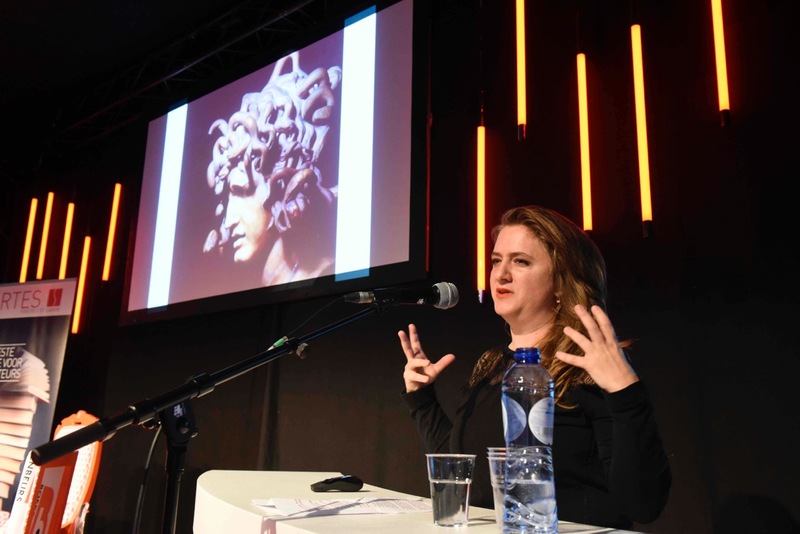 For her book ‘Mama Medusa’, she deliberately went looking for drawings of Medusa and pictures of jellyfish. According to Crowther, everyone can tell stories. Eva De Vos, the newly elected president of IBBY Flanders, explained the new innovative project ‘O Mundo’ . The aim is to select excellent books from all over the world which enable migrant children to share something about themselves and their background and to open up the eyes of all children in the class to the value of a multicultural society. 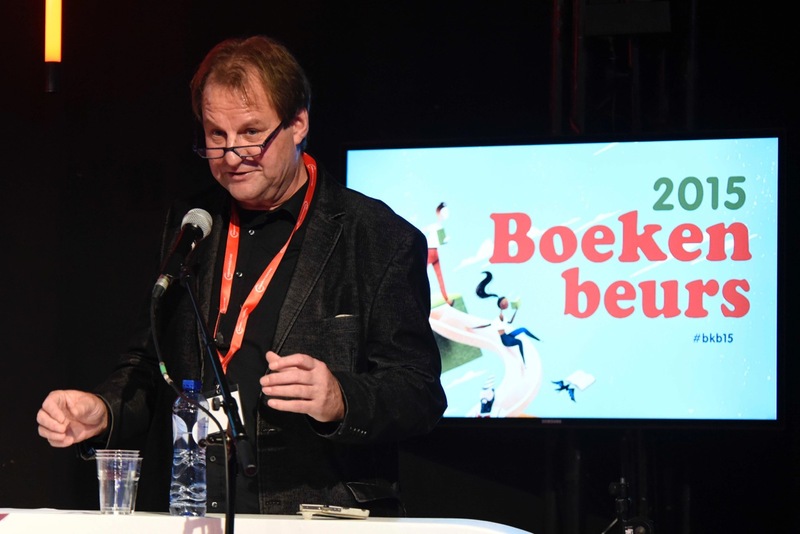 IBBY Flanders nominated the library of Lampedusa and the Silent Books project for the Astrid Lindgren Memorial Award. A perfect end to a beautiful discussion. Laureates over the years have shown a great diversity of style, character and subject matter. But they have one thing in common, which also unites them with Lindgren’s own values and lifework: the conviction that for young people, only the best is good enough, and that children’s culture is important and deserves our most serious attention. That—in spite of everything—there is a future, if we work together for a more humane, more dignified existence for people of all ages, regardless of ethnic, religious, social, or geographic background. And that what unites us is greater than what divides us, and all change begins with our children. 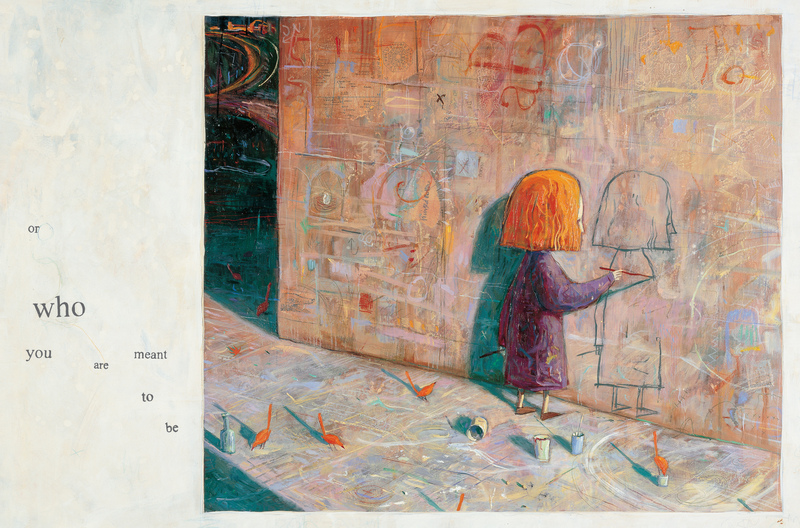 Illustration from 2011 ALMA Laureate Shaun Tan’s book The red tree (2001) . At nearly 70 years of age, Lindgren entered public debate. She crusaded against insular, dictatorial politicians. She fought to abolish every form of violence and insult from the education and upbringing of children. And she was a voice for the voiceless, launching a debate on the treatment of livestock: cows, pigs, chickens, and all the other animals we depend on for food. She influenced Swedish legislation in all these areas. She fought for respect for all living things and denounced the abuse of power in every form. Through it all, her belief in human goodness remained unshakeable. 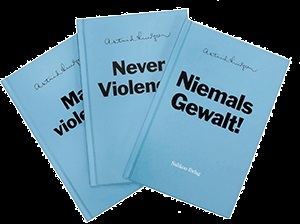 In 1978, Lindgren was awarded the Peace Prize of the German Book Trade. She used the occasion to deliver an impassioned address, entitled “Never Violence.” In the speech, she said that the peace process always begins at home. We must raise our children with love and respect, not violence and coercion. A child who is shown love by its parents will learn to show love to the world. History has furnished too many frightening examples of what can otherwise occur: “The characters of our future statesmen and politicians are formed before the age of five. It is terrifying, but it is the truth.” This means that children’s rights should be our highest priority. In 1979, Sweden became the first country to pass legislation banning all forms of physical and psychological violence against children, thus outlawing corporal punishment. 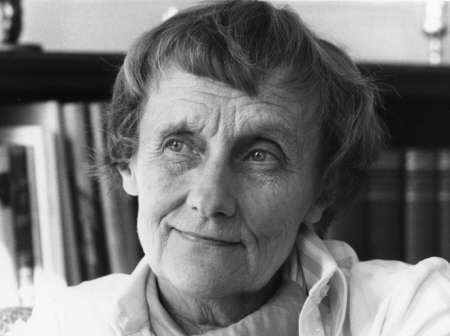 Astrid Lindgren played an important role in massing public support for the law. Despite opposition from many powerful groups, other countries have followed Sweden’s example. Ten years later, in 1989, the UN General Assembly adopted the Convention on the Rights of the Child, declaring that children have the right to freedom of speech, information, and religion, to free education, and to play, relaxation, and leisure. The Astrid Lindgren Memorial Award is one way of contributing to a more peaceful, more humane world. The award’s international focus and its substantial cash prize testify to how important Sweden considers cultural stimulation to be for children’s development. Astrid Lindgren was living proof of what that can mean. Her work will continue to build bridges between people, across generations and cultures, for many years to come. 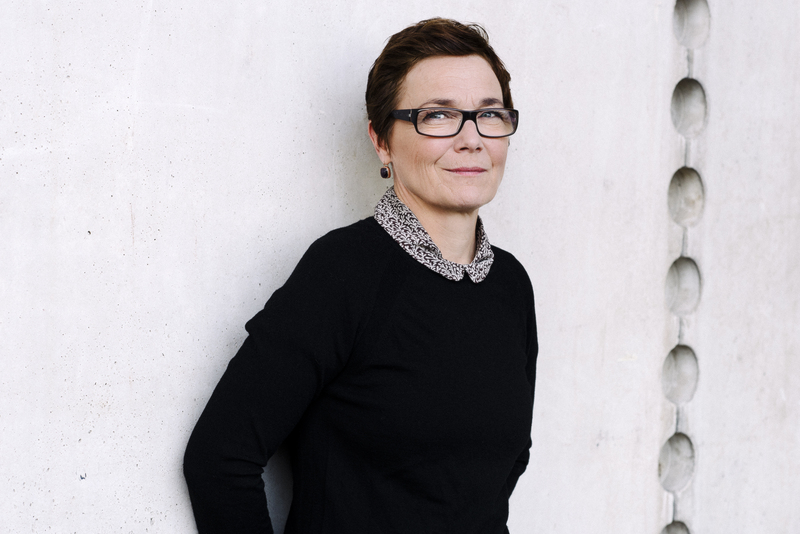 Lena Törnqvist is a librarian and specialist of Astrid Lindgren’s works. During several years she was responsible for cataloguing the Astrid Lindgren Archives at the National library of Sweden. Today she is retired but is on the board of the Astrid Lindgren Society and was appointed dr honoris causa at the Linnaeus University in Växjö in 2013. 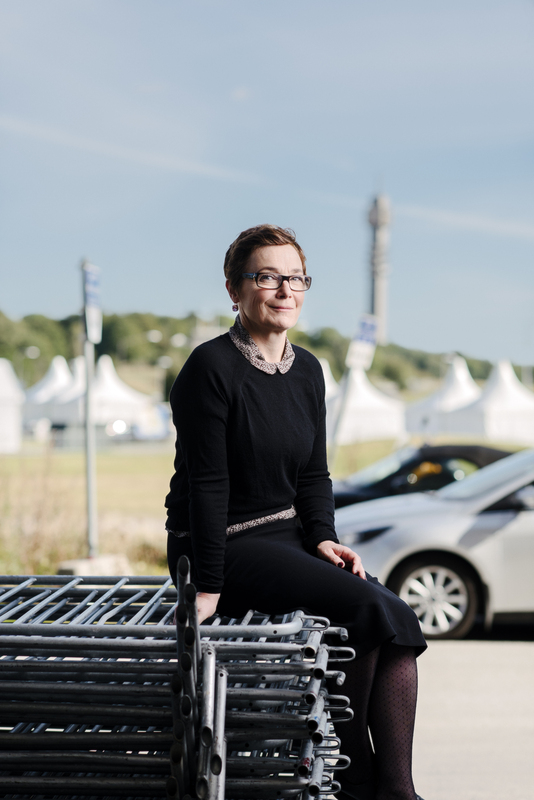 Anne-Marie Körling was recently appointed Sweden’s Ambassador for Reading 2015-2017. Who is she and what are her thoughts on her new post? Tell us about yourself and your background. Who is Anne-Marie Körling? I am a teacher, author, and lecturer. I like to play with words. I keep both feet planted firmly on the word “floor”; the floor is where I develop ideas about new paths in teaching and learning. I have always been a voracious reader. The library has been and remains an important place for me. As a child it was where I learned the meaning of democracy: in a space that collected books and people, where a librarian’s democratic gesture opened up the world on a bookshelf where I could read anything and everything that struck my fancy. I am a passionate and inquisitive person. I come from a family of musicians and storytellers. Music has taught me to listen carefully, to dare to dwell in an experience without needing to understand or explain it right away. I like sounds that strike a chord inside me. That’s how narratives work for me. They strike a chord. I believe in having the courage to not understand right away. I rarely think that I fully understand what I am reading. There is always something you can discover in a new way or come to new insight about with the passage of time. I re-read things all the time. I have talked about this and advocated it it as a reader and an author. I started reading child psychology when I was 13 years old, but even after meeting children both in literature and in real life, exploring the way they learn is still an adventure. Children aren’t projects. They try to do as we want and as we do. If we see them not reading, we can dare to take this as a reflection of our own reading and take a good look at our own reading habits. I have been recognized for my work as a teacher of language and literature. I received the Swedish Academy’s prize for Swedish language teachers in 2006, a Microsoft Innovative Educator Award in 2007, and a Diploma of Honor from the Swedish Council of the International Reading Association (SCIRA) in 2013 for my work with children and young adults on reading-related issues. Your work on reading promotion is very wide-ranging. What part of it is the most fun? Literature has always been so important for me: for learning, for mirroring myself, for community. I’ve never wondered what I get out of reading. It is just part of my life. Sometimes books lift me out of a kind of loneliness. Other times I get completely immersed in an expedition to a place I never would have gone if not for the book. When I read I also find that books talk to each other, and that interests me. Reading is like peering into a strange world and listening to people in other times and circumstances. This makes me curious about how young people read, and what makes them read or not read. My favorite thing is to meet young people who think that books are boring and reading has nothing to offer them. The challenge is to not try to teach too much. Instead I try to be curious. How can I let the literature do the work, and just have them listen for a while? I pick a passage from a book that I read—I take a lot of care with this. Afterwards we talk, usually about the contents of the book. It’s like my chance to hint at all the things out there to read and listen to. When they ask if I can read a little more, I know they’ve made contact with the text. It’s important to tread gently. Not be a reader who immediately starts telling the non-reader everything they’re missing. Readers should listen carefully to non-readers. Reading something out loud that lies beyond they can read for themselves shows them what they have to look forward to as readers. What are your thoughts your new post? I just got the job, so the adventure of developing its content still lies ahead of me! But literacy issues are something I will never abandon. I believe in generosity and participation. The conversation about reading and the meaning of reading is usually one we readers hold among ourselves. When we meet non-readers, we try to convince them that reading is useful and meaningful. I want to help foster more generosity across the boundary between readers and people who haven’t yet discovered what reading can mean. I would like to see us develop a custom of reading aloud for 90 seconds in workplaces, at the start of class, in all kinds of situations where we take part in joint activities. Someone might listen at work and get inspired to start reading out loud themselves at home. We need to invite authors into our conference rooms and classrooms. Ninety seconds is enough to create focus, to listen collectively. For the sake of creativity, language, community. We can learn to listen together if we have something to listen to. In less than 90 seconds we can be in a new place, seeing the world through different eyes, gathering ideas and language about things we knew nothing about just a minute ago. What do you think will be your greatest challenge as Reading Ambassador? Which questions are most important to examine? Questions concerning literacy and illiteracy. Knowing how to read but not liking it. Not knowing how to read and maybe feeling that because your schooldays are almost over, you’ll never have the chance to learn. Identity is critical: identifying as a reader so you can be part of the community. Throughout my years of teaching I have had the privilege of speaking with students who can’t read. They develop strategies to hide it. But when they are faced with the reality of leaving school, the issue becomes what live will be if they can’t read. Reading is a glue that holds society together. Almost everything is available to read—for those who are able. For those who aren’t, the world is mute. Literacy is a democratic issue. Not being able to participate in written language is incompatible with democracy. Also important: to consider how every text requires that our reading ability be renewed, that it constantly evolve. Getting the chance to learn how to learn to read, and learning that sometimes you have to work with a narrative before it reveals its contents. Re-learning, and having the opportunity to do so. That texts evolve and have many levels. That text, imagery, and music in language comprise an aesthetic experience. That we don’t focus solely on utility, but also on the passion, curiosity, and creativity that reading engenders. That we’ll never understand everything we read, but it still doesn’t stop us from reading. And I’d like to push for re-reading books, maybe even more than once. Returning to books. Reading to plumb the depths of a text. It’s a challenge in our day and age. We’re always rushing to get to the future.